Description: Avoid the incoming enemy fire by running to avoid it and storm the beach. Run Soldier Run! 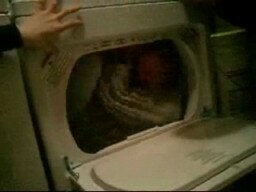 I don't know what's funnier, the guy stuffed in the dryer or the sounds of his friends as they turn it on. Launch ice balls from a grenade launcher at opposing Simpson characters and knock them off their iceberg.